Showcasing a strange, unusual, circular house exterior plan. 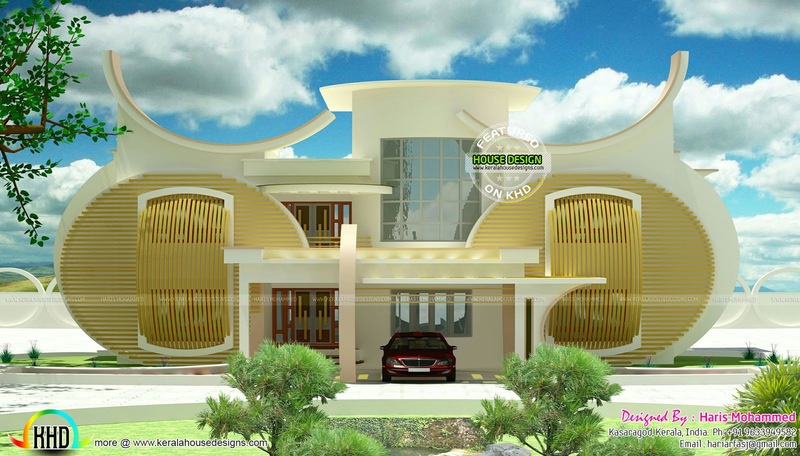 Total area of this house is 3902 Square feet (362 Square Meter) (433 Square Yards). The house have 5 bedrooms in total, and all of them have attached bathrooms. Designed by Haris Mohammed, Kasaragod, Kerala. Ground floor : 2136 Sq. Ft.
First floor : 1528 Sq. Ft.
Total Area : 3902 Sq. Ft.
1 comments on "Strange circular home design"
This absolutely a strange and great design, can you please send me the floor plan to how it looks like. I need this design for Somaliland and I wonder if you can give do the building here.